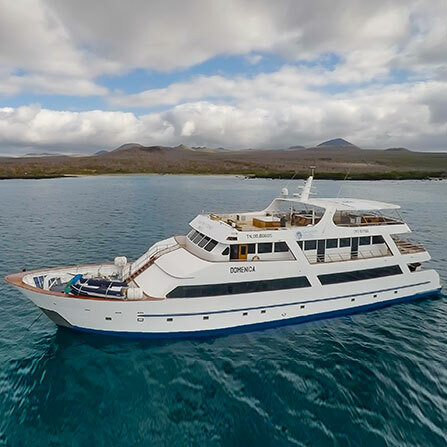 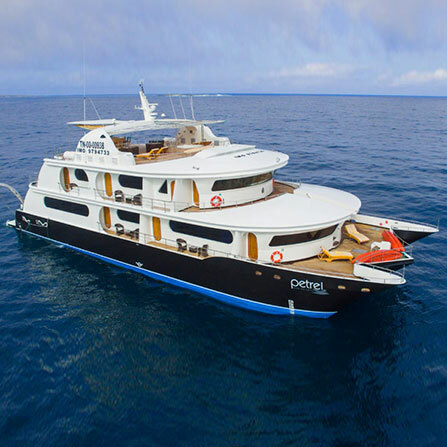 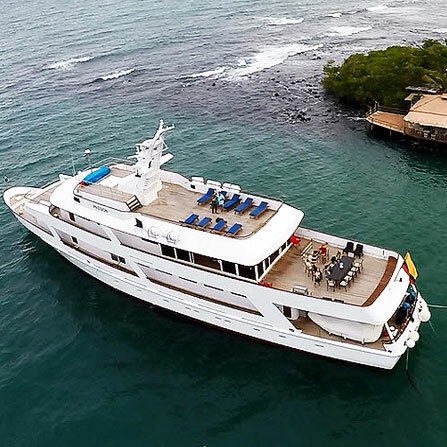 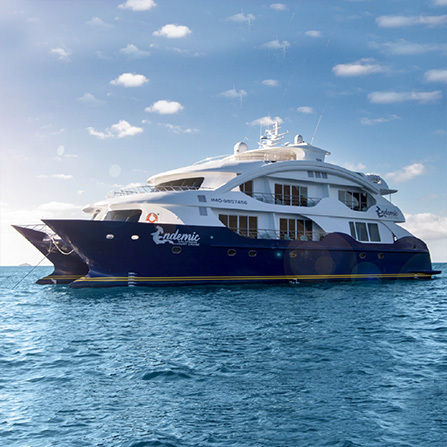 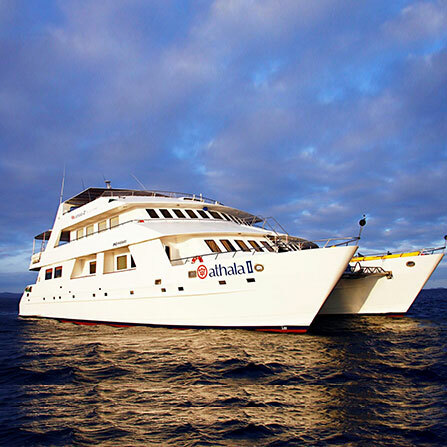 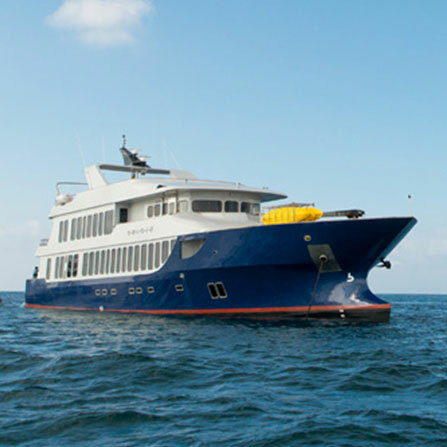 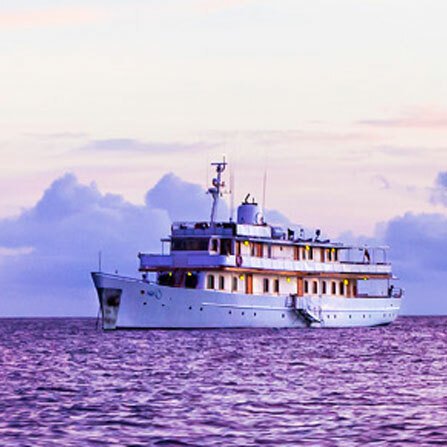 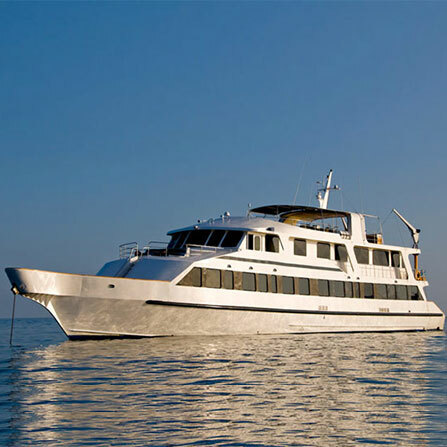 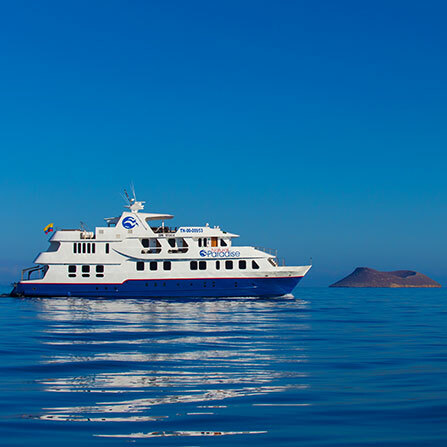 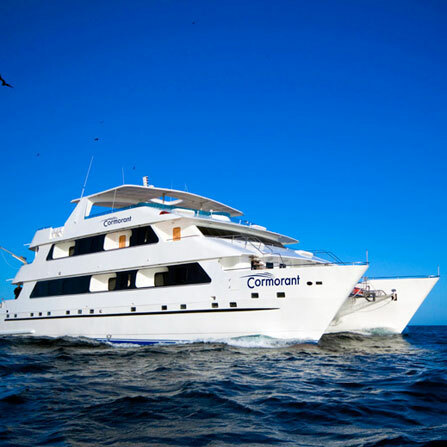 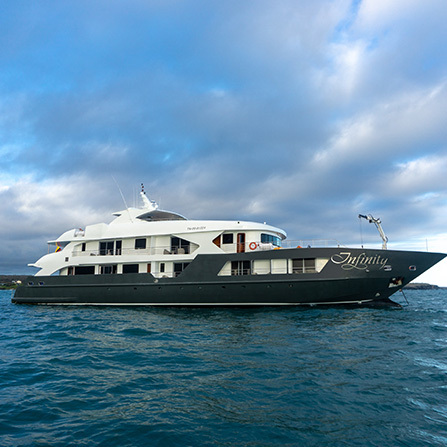 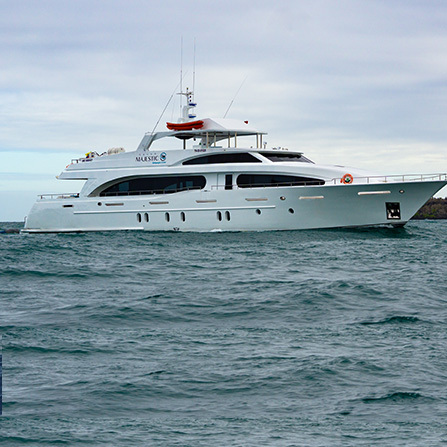 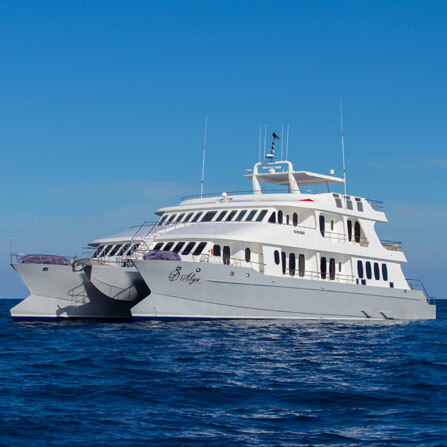 The luxury yachts or deluxe yachts in the Galapagos Islands are the ones who have the most lavish accommodations, the most professional crews, the highest quality foods and the most in demand category III Naturalist guides. 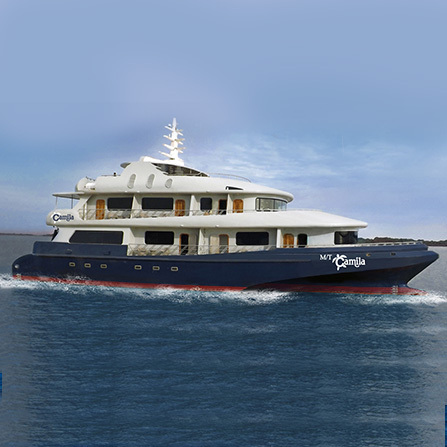 All the yachts with this designation have spacious cabins, air conditioning, hot water, ocean-view cabins with private facilities and spacious social areas like dining room, living room, libraries, sun decks. 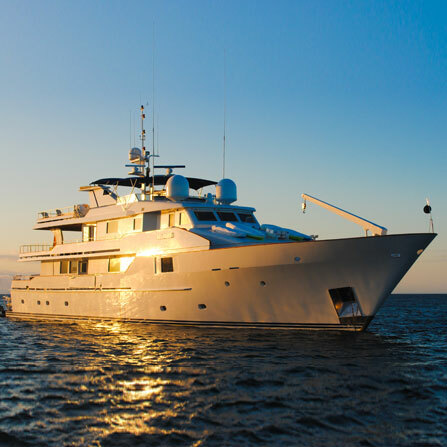 Most of this yachts also have a wealth extravagant extras – swimming pool, Jacuzzi, on-board medical facilities, gift shops and more. 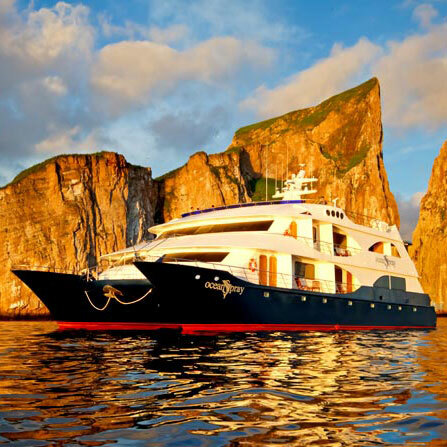 They also tend to be bigger and more stable (all of the large cruise ship fall into this category) and have the best cruise itineraries; they visit more outlying islands.